Does video surveillance deter crime? You are here: Home / Evidence-Based Living / Does video surveillance deter crime? Park your car. Walk into a store. Ride the subway. During all of these activities, it’s very likely that you are being recorded on video. In the western world, closed-circuit television or CCTV is used in the vast majority of public places to help prevent crime. The idea is that video recordings can be used to look for potential perpetrators and that just knowing the cameras are there will deter people from committing crimes. But does CCTV really work? One systematic review attempted to answer that question. The review, sponsored by the Campbell Collaboration, analyzed 44 studies that measured whether CCTV helped to reduce crime in parking lots, housing developments and on public transportation systems. It drew some interesting conclusions. 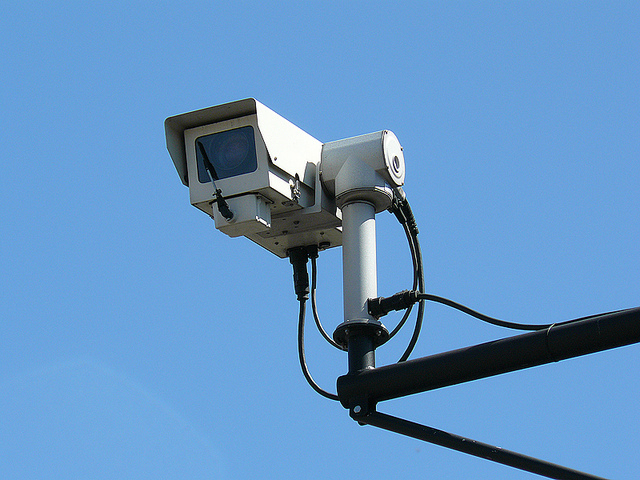 The researchers found that video surveillance systems were most effective in parking lots. Across the studies included in the analysis, CCTV resulted in a 51 percent decrease in crimes committed in parking lots. CCTV resulted in a 23 percent decrease in crime on public transportation. However, in other public settings, CCTV yielded a small or no decrease in crime. The authors did note some limitations in the data they used. Many of the studies did not specify whether there were signs indicating whether CCTV was used in the area, raising the question of whether it is more or less effective to notify the public about video surveillance. Other factors, including the quality of light and the percentage of areas covered by CCTV, are also important variables that many studies did not take into account. More research is needed on this topic. But the evidence we have to date indicates that video surveillance is a useful tool for deterring crime. Thank you for talking about how having video surveillance can help you find perpetrators. It makes sense that if you want to protect your business with these systems you need to do your homework about them. I would want to make sure I talk to several companies and compare their services and rates before I settle on one. The real beauty of CCTV is in car CCTV, like I use. A very useful tool in the event of an accident, although not a crime, I think more cars having cars will probably help to improve road safety. Next Research topic perhaps??? I’m curious if most crimes happen in parking lots and as such the decrease is comparable to a decrease in other settings. We appreciate our security system and have gotten used to the GW system for almost every corner of our home. Its most likely deterred crime. Wow, I can’t believe that CCTV reduced parking lot crimes by 51%! I have always thought that security systems are effective, so it’s good to read the proof. I should look into getting one for my home. Ask God to install the holy spirit instead! Its non comparable to the manmade surveillance systems! Wink wink! It’s interesting that this study found that video surveillance systems are most effective in deterring crime in parking lots. I’m surprised that CCTV found that there was a 23% decrease in crime on public transportation when there are security cameras monitoring the area. Knowing that makes me feel that I would feel safer in public areas where there’s video surveillance. Are there any studies indicating whether signage placed in public spaces, deter crimes? We are trying to determine whether CCTV signage, making the perpetrators aware of the monitoring, would deter them from committing a crime. I could not find any related topic on the matter and would appreciate some input into the matter. Our network comprise just over 1500 cameras in Cape Town, South Africa and more information is required to understand whether funding signage, to make the public aware of the CCTV, would have any impact on incidents occurring around specific areas; like transport hubs or CBD’s. Would appreciate some input or guidance. I’ve always wondering how effective video surveillance is. It seems like it works quite well when it comes to home security. I’m glad to hear that they are effective in parking lots! It’s good to know that video surveillance is working on some level. Cameras are so prevalent, as you point out, so it’s reassuring to see that they’re actually accomplishing something. I’m wondering if the same is true of homes as well. The evidence suggests that in commercial spaces video cameras work well to deter crime, but what about in residences? It’s quite an interesting topic and I’am not surprised that during some of the studies there was a decrease in crimes. For that purpose it is needed as you mentioned to let the society know about the video surveillance. Along with the lower crime rate, the cameras may help to solve different serious crimes such as murders. I’ve heard about such cases in other countries, so it might work in UK as well.